HomeServices of America’s push to expand has paid off. 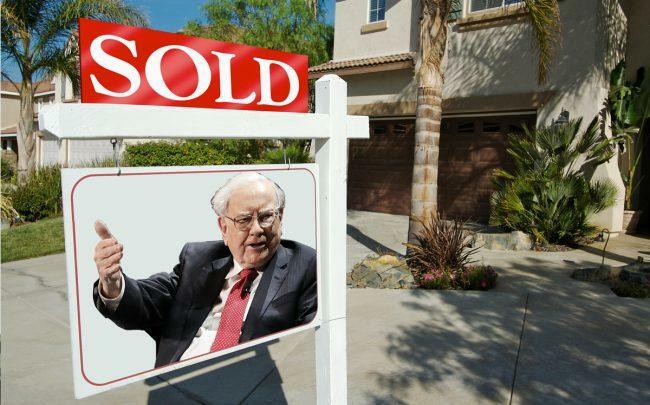 Warren Buffett’s firm has toppled Realogy’s NRT as the largest residential brokerage in the country, according to a new ranking from Real Trends. Its rise to the top of the list comes as HomeServices has been growing its footprint through acquisitions and shaken up its leadership. The Minneapolis-based company, owned by Berkshire Hathaway, closed 346,629 transactions in 2018, according to Real Trends. The brokerage has 44,363 agents across 919 offices. NRT — which includes The Corcoran Group, Citi Habitats, Coldwell Banker and Sotheby’s International Realty — dipped to second place with 337,235 closed transactions. It has 50,200 agents across 750 offices. NRT is still the top-ranked firm by dollar volume, with $176.4 billion in sales last year. HomeServices came in second with $135.9 billion. Compass and Douglas Elliman have the third and fourth spots — with $45.5 billion and $28.1 billion, respectively. Last year, Buffett’s firm most held the No. 2 spot, with $125.4 billion in transaction volume in 2017. The company has been on a nationwide acquisitions tear. Last year, the brokerage acquired Ebby Halliday, the largest indie brokerage in North Texas. And in January, it acquired one of its parent company’s own franchisees, Berkshire Hathaway HomeServices Florida Realty — expanding its Florida footprint by 1,750 agents and 40 offices. It’s also scooped up Long & Foster Cos. and Houlihan Lawrence in the last two years. HomeServices has also tried build its presence in New York City. In 2017, it brought on former Sotheby’s International Realty Manager Ellie Johnson to oversee its operations, and hired Herb Hirsch to expand the brokerage’s commercial team. Since then, HomeServices acquired Upper East Side-focused residential firm Key Ventures, and brought on longtime Manhattan broker Reba Miller and her team of six. Meanwhile, in 2018, Berkshire Hathaway paid $130 million to buy out Brookfield Asset Management’s one-third stake in HomeServices. Beyond its U.S. growth, HomeServices is also eyeing international markets. Last November, the brokerage teamed up with a London-based Kay & Co. to expand the firm to Milan, Dubai and Vienna. Kay is Berkshire’s second franchisee in Europe, in addition to Berlin-based Rubina Real Estate. The company said it was also in talks with prospective partners in Paris and Madrid and mulling expanding into Hong Kong, Mexico City and Tokyo.